Everyone has a different level of ability. Diversity as wealth. 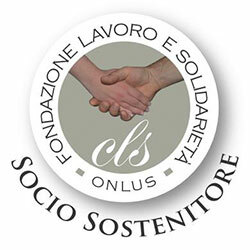 CLS stands for Cooperativa Lavoro e Solidarietà which is Italian for Work and Solidarity Cooperative: Cooperating in the sense of doing together, Solidarity in the sense of being a solid (from the Latin word solidus), integrated, deep unit, altogether, Work intended as an activity through which to express your personality. On these three fronts, a group of volunteers tried out their application in situations involving people with some form of disadvantage, affected by psychophysical handicap, seeing them just like themselves, as people with a different level of ability, the diversity being merely a matter of accent or extent, because being a person gives every man and woman dignity. This concept is at the origin of the work of the CLS Foundation. The spirit behind us is reflected in seeing man as the centre of the universe because he’s the only creature made in God’s own image. Everything that man knows or doesn’t know how to do neither adds to nor subtracts something from his immense greatness. The different skills that every man has are part of every person’s limits, and these cannot be the measure of human dignity. Making the most of what everyone can do, however much or little that might be, means acknowledging human dignity and identifying with this dignity. Solidarity is the distinctive feature of this kind of man and of humanity. within this vision there is only involvement, without that pietism that involuntarily marks the distance from others and characterises the inability to get close enough to feel what it’s like to be someone else and share their problems, to walk the road of social inclusion together, so that weaker individuals have the chance to give their lives the same meaning that everyone wants.
. Every one of us is both able and disable compare to everyone else; only when our disability prevents us from performing normal everyday activities does society see us as disabled. The level of disability creates isolation and consequently marginalisation. Only a shared life experience between someone who is disabled and someone who is able-bodied can create the conditions for real inclusion of the disabled half of the pair in society, possibly with a role and definitely not as an “outcast”. We have decided to take care of the psychophysically disabled. This form of disability is caused by brain damage which is either congenital or caused by injury and can result in difficulty with walking, control of manual ability and speech, as well as intellectual difficulties. 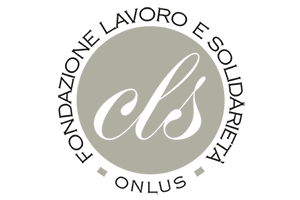 The CLS mission is to help those with psychophysical disabilities to recover their unexpressed potential, finding appropriate operational methods, achieving goals in activities that suit them, feel the weight and the value of their actions, in a condition of self-confidence which makes them feel rightfully active and important within society. We considered three aspects when taking on this task, and these form the base for our who way of operating: the centrality of the person with the disability, the relationship with the local community and the world of associations, and cooperation with the public authorities. CLS Community Accommodation, a structure created to give disabled people a home and the attention they deserve. These three organisations share the same Board of Directors, the same executives and the same psychologist, so that they all move together towards achieving the same aims in terms of improving the life of disabled people. This generates a situation of reciprocal mutuality which eliminates or at least mitigates partial visions and forms of bias, and each CLS Cooperative is integrated with and completes the others, facilitating exchanges of people and operators with a view to achieving their full potential. These are joined by two more organisations; CLS Disability Desk, which provides information and help with untangling the various bureaucratic and administrative problems, and CLS Sale to the Public, activated with the main aim of providing people with disability an opportunity to gain confidence and socialise, thanks to the intense involvement with the public in the shop. Training families, operators and volunteers to focus on and handle the relationship with those with disabilities is also part of the plans of the CLS Foundation. This is our programme and its accomplishment is linked to the ability of its volunteers to involve the community, associations and political powers in an act of ongoing solidarity, on the strength of the goals achieved since 1983, while being fully aware of the difficulties that characterise this project.